GGfone: Voice Calls Over Wifi app: insight & download. Forget about all the calling apps you’ve ever tried on your phone, as GGfone is going to change the game and raise your expectations from such audio calling apps and voice calls over wifi. 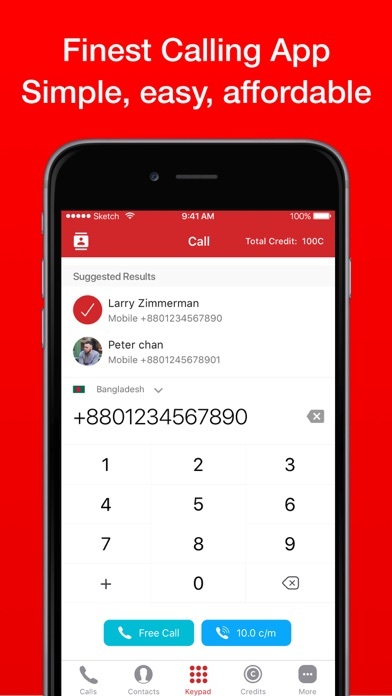 GGfone, the free voice call app, enables the users to easily call landline phones as well as cell phones all around the world at an affordable cost. And the good news is that Wifi calling between GGfone users is absolutely free and you can enjoy free voice calls with high quality. So, if you are looking for a simple and easy to use the phone calling app, download GGfone for free, set up your account, and start calling family and friends in your own country or overseas. GGfone comes with a clean and neat design and the interface is so user-friendly that you’ll get the whole idea as soon as you activate your account and make your first phone call over a wireless network or mobile data network. You just need to make sure your credit is high enough to make phone calls and then start calling family and friends at super cheap prices. The quality is high, the experience is seamless and is totally worth it. No matter you are going to make a phone call to a cellular phone or landline phone to the United States, United Kingdom, Saudi Arabia, Singapore, or the rest of the world, GGfone has got you covered. There is no hidden cost, no roaming charges, and everything is as clear as the quality of our voice calls. Why should I use GGfone to make voice calls over wifi or mobile data? One. The quality of calls is so high that you’ve never seen or experienced on other international calling apps. Five. There are no roaming charges or any extra costs when calling overseas countries. It’s now the time to download and install GGfone on your smartphone and try all the great features of this HD voice calling app for yourself. So, download GGfone, the voice calling app, on your mobile phone, enjoy high-quality audio calls and let us know about any bugs, questions, feature requests or any other suggestions. 9 July 2018 : Free!